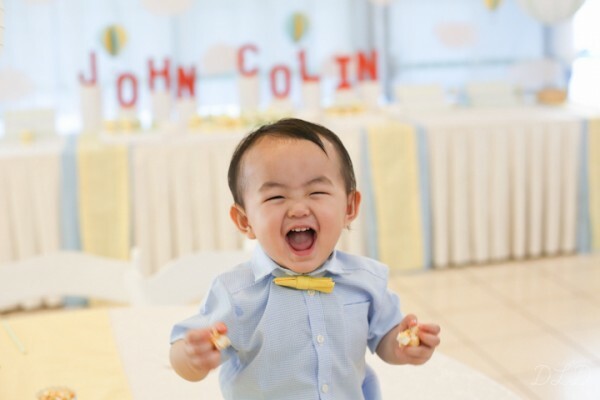 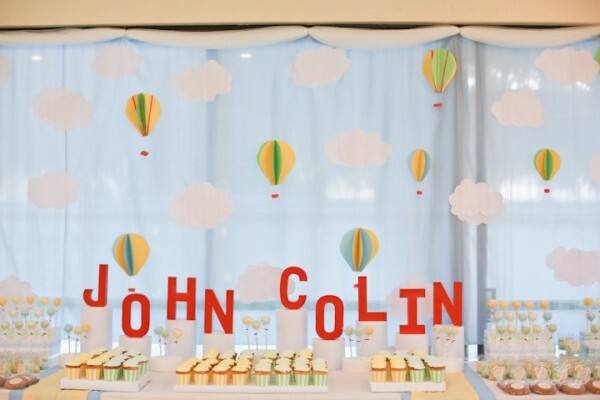 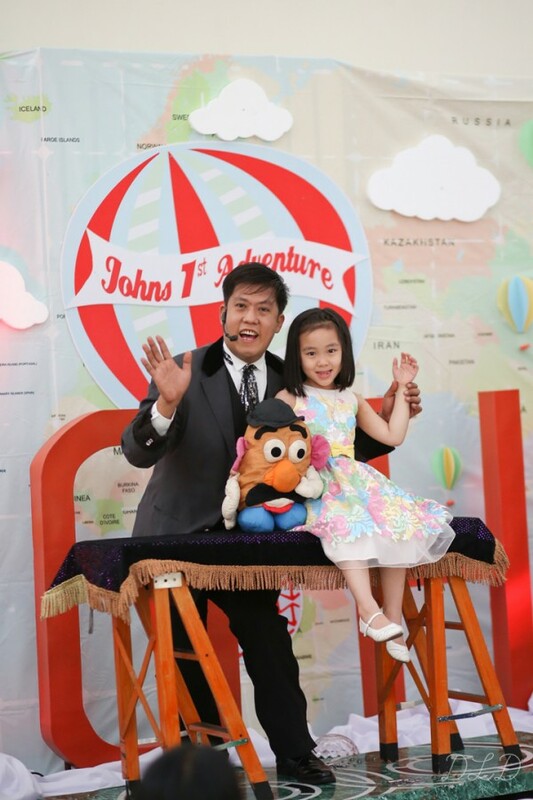 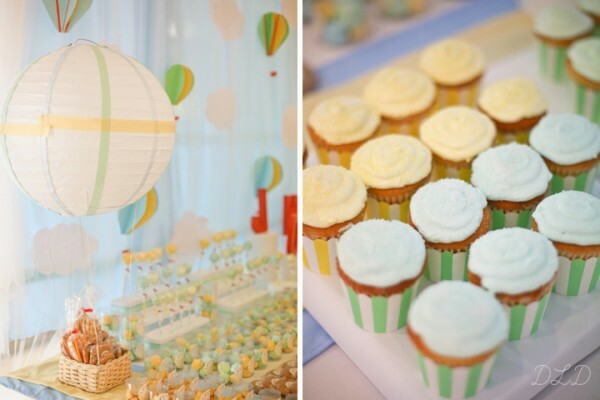 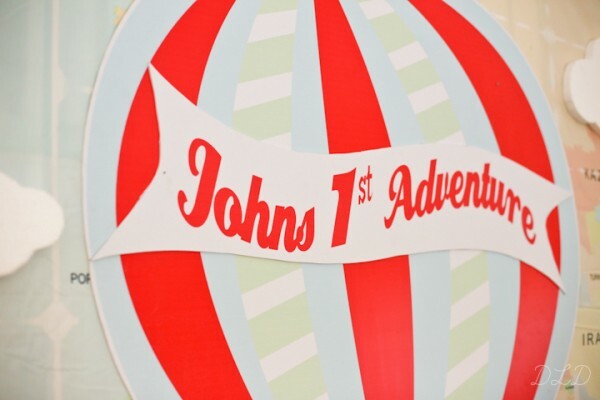 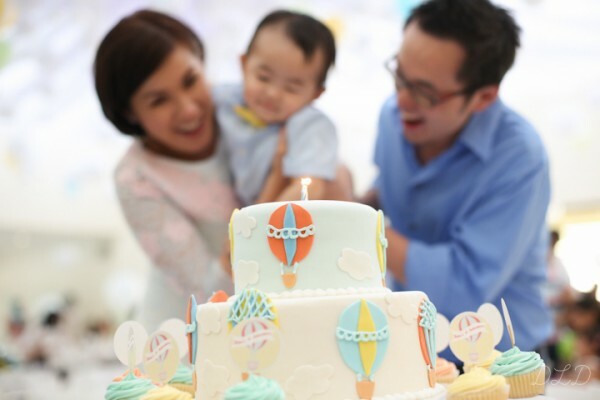 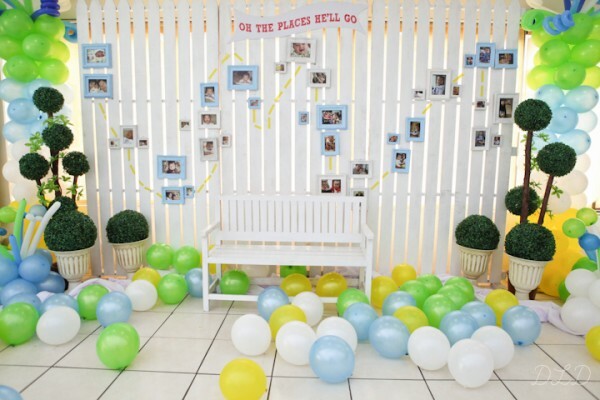 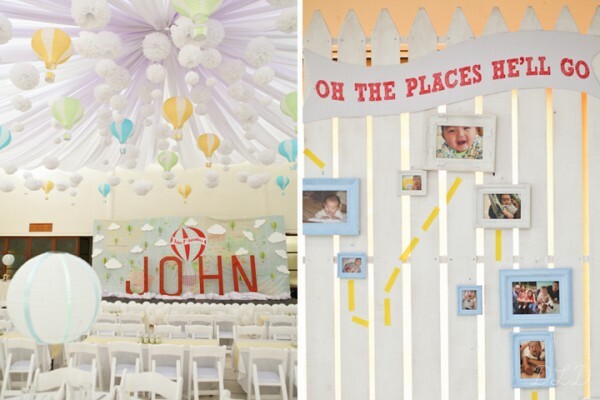 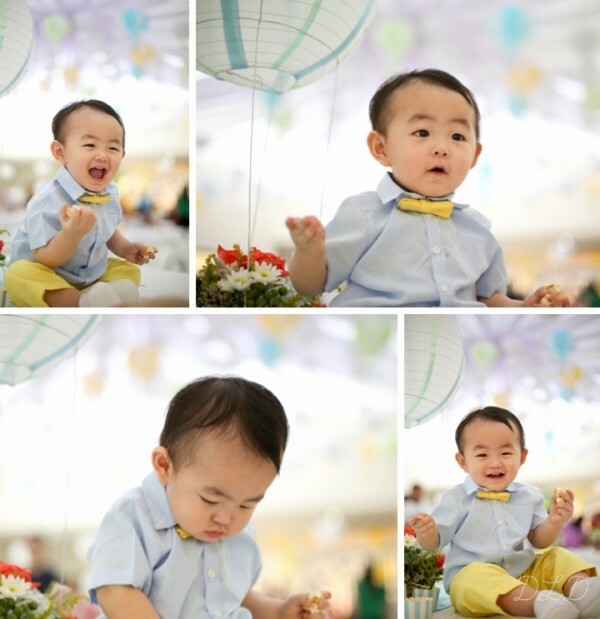 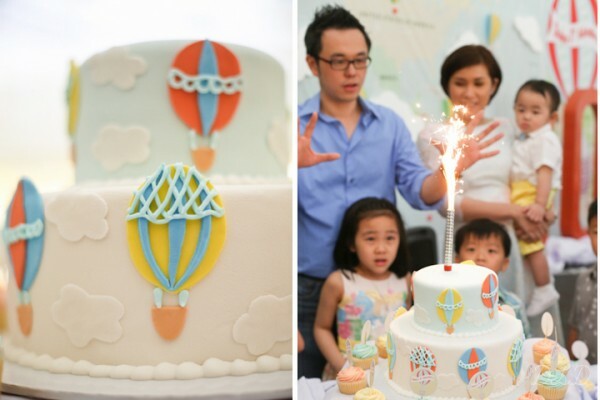 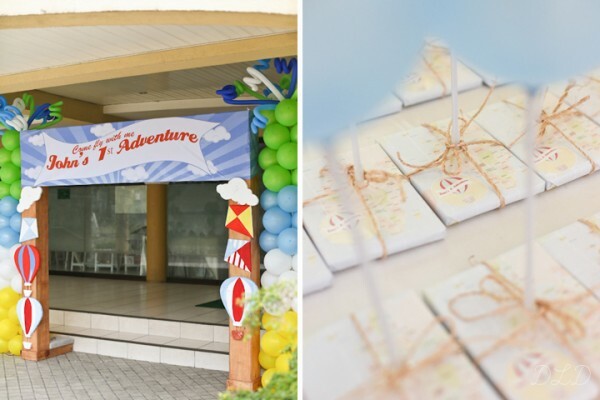 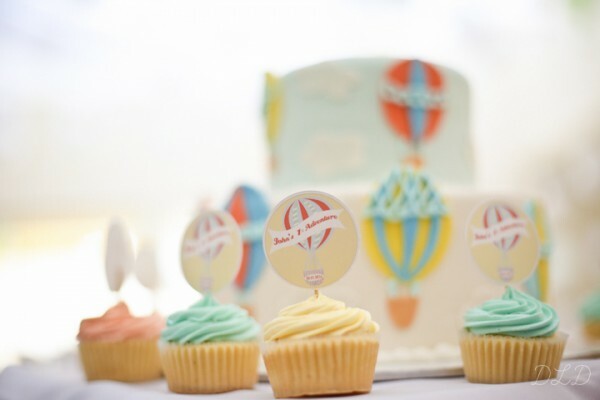 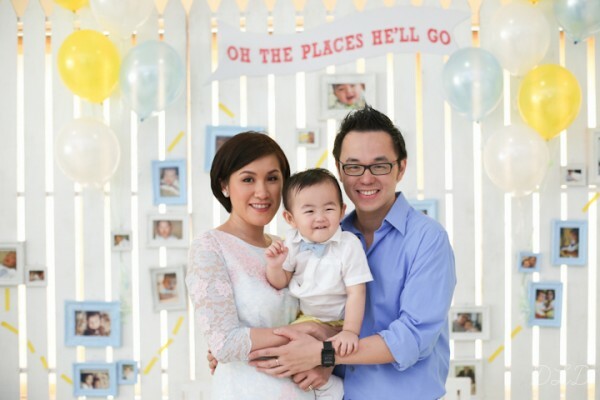 Let’s go up, up, and away with little John and celebrate his first adventure in this amazing Hot Air Balloon Themed Birthday Party sent in by Den of Den Llanos Dee Photography. 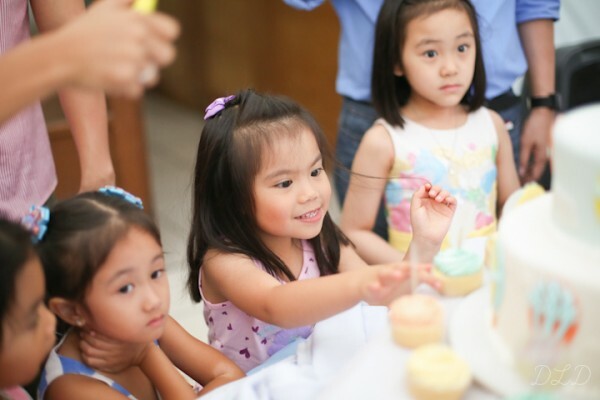 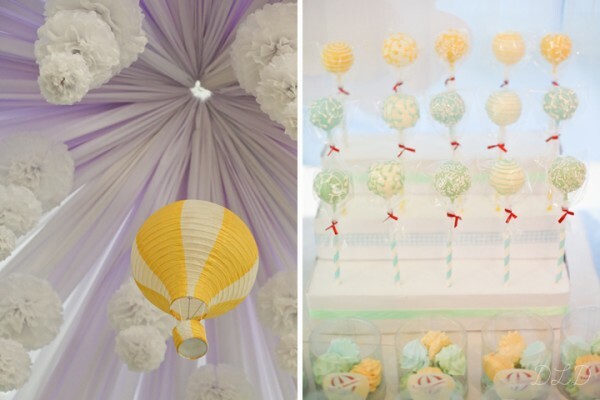 With lots of wonderful ideas to play around with, hot air balloon parties always soar high, close to the tippy top of favorite party themes for kids. 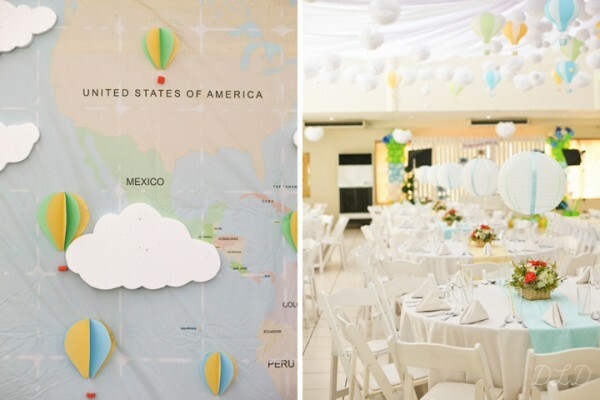 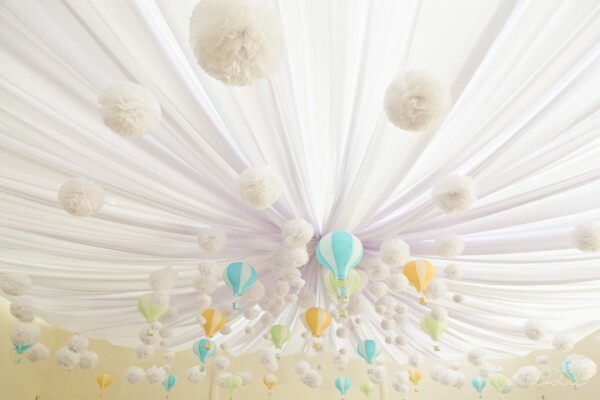 For this party, I just love the little hot air balloons hanging on the ceiling with the white drapes and white paper pompoms that looked a lot like clouds. 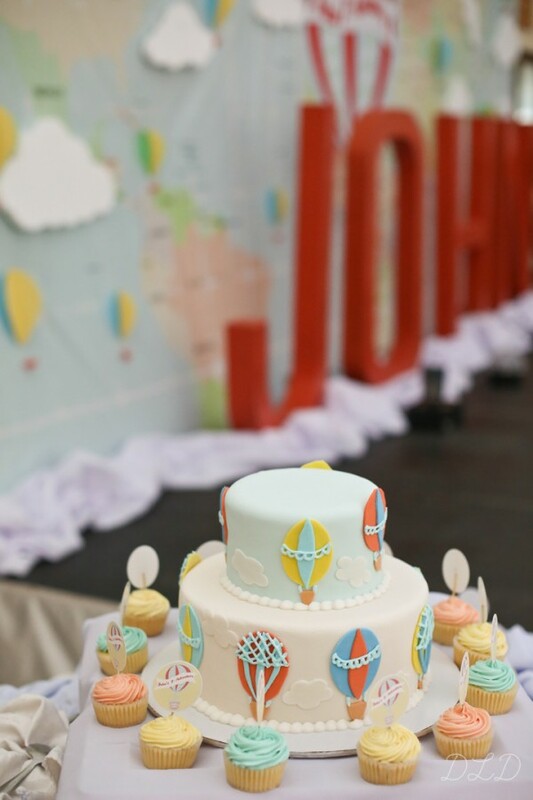 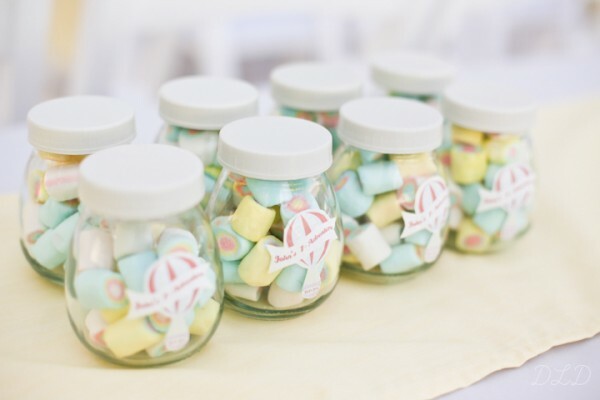 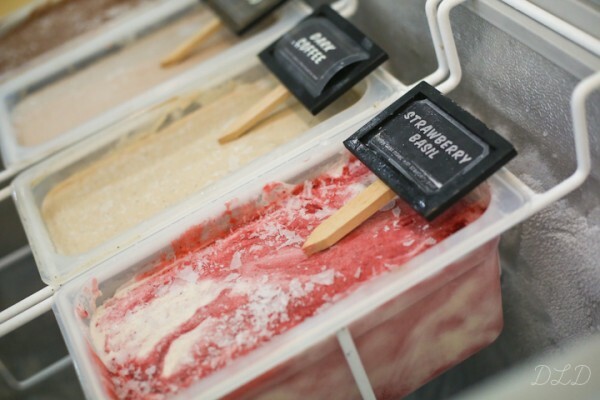 Aside from that, there’s also John’s photo wall and that gorgeous dessert table spread full of lovely pastel colored treats!